From the Yangtze to the Yellow River, China is traversed by great waterways, which have defined its politics and ways of life for centuries. Water has been so integral to China's culture, economy, and growth and development that it provides a window on the whole sweep of Chinese history. 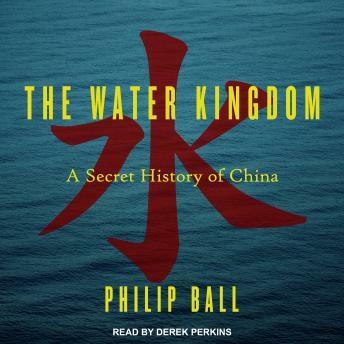 In The Water Kingdom, renowned writer Philip Ball opens that window to offer an epic and powerful new way of thinking about Chinese civilization. Water, Ball shows, is a key that unlocks much of Chinese culture. In The Water Kingdom, he takes us on a grand journey through China's past and present, showing how the complexity and energy of the country and its history repeatedly come back to the challenges, opportunities, and inspiration provided by the waterways. Drawing on stories from travelers and explorers, poets and painters, bureaucrats and activists, all of whom have been influenced by an environment shaped and permeated by water, Ball explores how the ubiquitous relationship of the Chinese people to water has made it an enduring metaphor for philosophical thought and artistic expression.